The Powerball drawing became a hot topic this past week, after the jackpot hit an all-time high of $1.5 billion thanks to 20 weeks of no grand-prize-winning tickets. However, Wednesday night's drawing of 4-8-19-27-34 and Powerball 10 matched the tickets of three Powerball players. The winners, who miraculously beat the 1 in 292.2 million odds, hail from California, Florida, and Tennessee, and will be splitting the jackpot three ways. UPDATE: This post was originally published in January 2016. As of Aug. 23, 2017, the new Powerball jackpot has hit $700 million (and if there are no winners, it'll go to $1 billion). 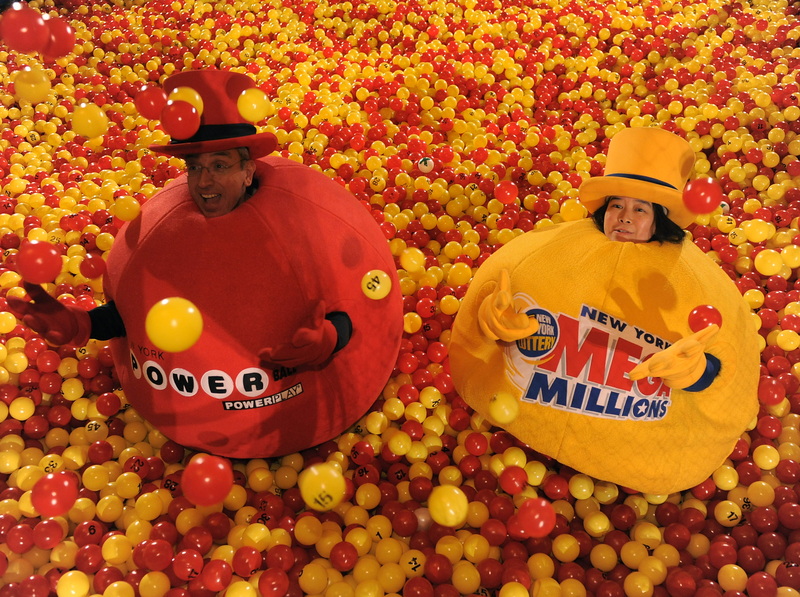 The Powerball will be drawn at 10:59 p.m. EST. EARLIER: Remember that winners come in all shapes and sizes. Though their successes may not have gained equal media attention, there are smaller prize winners among us. For example, a dozen people in the state of California alone matched five of the six numbers. Well, can't win 'em all, at least when it comes to the jackpot. According to the Powerball website, players have an infinitely more reasonable chance — one in 25 — of winning at least something, even if it's just the minimum $4. So check your ticket again, because you might be a winner. Let's review the basics. Five white balls are drawn out of a bucket that consists of 69 balls in total. One red Powerball is drawn out of a drum of 26 balls. In order to win $4, which is double the price of the ticket, you simply have to match the Powerball number. To win $7, you have to match three white ball numbers, or two white ball numbers plus the Powerball number. From there, you can win $100 by matching three white ball numbers plus the Powerball number, or four white ball numbers. This is the point at which one number can make all of the difference — a $49,900 difference. Players win $50,000 by guessing four white ball numbers and one Powerball number. By guessing all five white ball numbers, you'll win the million. White numbers can be guessed in any order in all cases. Now, let's assume you won at least some sort of prize. The first step is jumping up and down and screaming. No matter if you won $4 or $1 million. Your win is equal in my eyes. The next step is especially pertinent. Sign your name on the back of the ticket so no one can swoop in and swipe it. If your prize is under $600, you can claim it at a lottery retailer in your state. But the Powerball website points out that not all retailers carry enough cash. That's what "super retailers" are for. The website suggests that in such a case, you look for a cashier who's wearing a cape and tights. I'm not sure whether they're kidding. If your prize surpasses $600 (congrats! ), then you must trek to the state lottery headquarters. Tickets are redeemable for at least three months, and depending on the state, sometimes even a year. Whatever you do, just don't spend it all at once.